The Rotary Club of Westfield is accepting letters of nomination for the 27th Annual Charles Philhower Fellowship Award which recognizes an outstanding elementary school teacher each year. Click headline above for details. 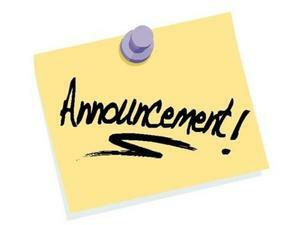 Please click for more detailed information. 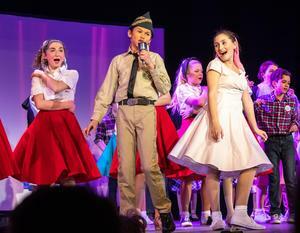 Enjoy these images from our recent Spring musical. Lots of great news in the April-May 2019 edition of Arts a la Carte, with the District Art Show and many Spring concerts just around the corner. Arts a la Carte, which is produced by the Department of Visual and Performing Arts, also details what each grade level is doing in art, music and drama. Enjoy! 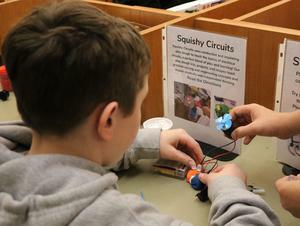 There was ingenuity and imagination at work in Westfield Public Schools as students enjoyed makerspace activities in recognition of New Jersey Makers Day, a statewide celebration that has taken place every March for the past five years. The Westfield Board of Education announced at its meeting on March 26, 2019 that, if no additional snow or emergency day is used, schools will be closed on Friday, May 24. Recognition of Winter Track & Field student-athletes and a review of proposed capital and maintenance projects for the district were among the highlights at the March 26 Board of Education meeting. Read more in Dr. Dolan's synopsis. There is no shortage of civic-mindedness in Westfield Public Schools and Community Service Week was no exception. Through the coordinated efforts of school Parent Teacher Organizations, students across the district packed lunches, designed greeting cards, made care packages, picked up litter, and participated in many other activities as a way of giving back to those in need. March is New Jersey STEM Month. The goal, according to the state’s Department of Education, is “to celebrate New Jersey’s commitment to student success in STEM (Science, Technology, Engineering and Mathematics) programs." 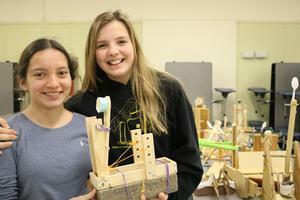 And whether it’s Citizen Science and the Innovation Classroom at Westfield High School, a Science Olympiad at the intermediate level, elementary afterschool STEM clubs or a robust K-12 curriculum, there is no shortage of STEM learning in Westfield Public Schools. 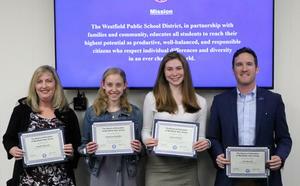 Board recognition of a spectacular season by the WHS Varsity Bowling Team, approval of a tentative budget and the swearing-in of a new Board member are among the highlights in Dr. Dolan's synopsis of the March 12 Board of Education meeting.